You may have heard of Jane Velez Mitchell from her show, “Issues with Jane Velez-Mitchell”, on CNN’s HLN. An award winning television journalist, she is often seen commenting on high-profile cases for CNN, TruTV, E! and other national cable TV shows. Velez-Mitchell is also a New York Times best selling author. 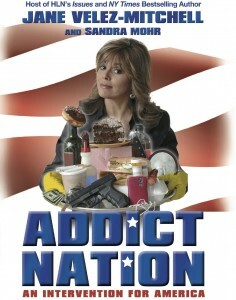 Her new book, “Addict Nation”, an intervention for America, is the subject of our podcast. Velez-Mitchell is an environmentalist and vegan. 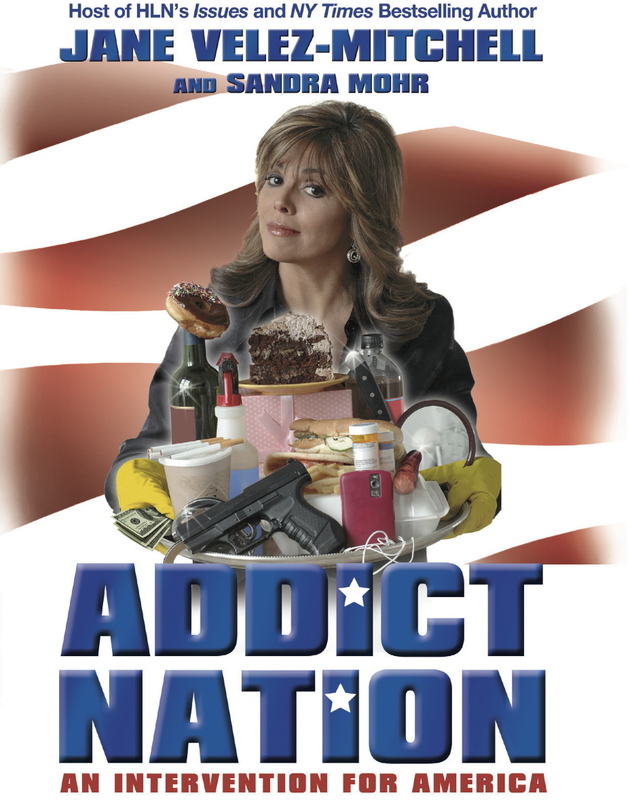 Her book, “Addict Nation”, doesn’t just talk about problems in our culture, it poses useful, “do-able” alternate ideas for creating a better life, without preaching. Yes, we have heard this message before from academics and self-help books, even government officials, often tackling one thing at a time. But this book is accessible, written as if you were having an impassioned dinner conversation with friends on a wide-range of topics. Timing of this message probably couldn’t be much better. In these past few years of financial fallout, millions have had an all too personal experience of discovering that consumerism, whether it’s over-eating, drinking, hoarding, or spending money you don’t have, hasn’t fulfilled them. Interesting and bold was the view that animal and environmental rights were keys to unleashing not only jobs and strengthening the economic future of the US, but also halting the cruelty of factory farms, laboratory, and research facilities. Join us for a chat with Jane Velez-Mitchell Wednesday, March 30 at 9pm EST – listen to the podcast and get your questions ready! This entry was posted in Animal Welfare, Mary Haight, Uncategorized and tagged Addict Nation, animal welfare, Jane Velez-Mitchell on March 28, 2011 by Mary Haight.